HomeWomenVictoria Beckham is looking for a new PA – but there are some very strict requirements! As dream jobs go, being Victoria Beckhams Personal Assistant is up there. Sorting out her incredible wardrobe, attending glitzy events and hanging out with the cutest celeb family around. Sounds great, right? Well, now it no longer has to be a dream as the former Spice Girls star is actually advertising for a PA on her website. The 44-year-old explains that the role will cover a broad variety of administrative tasks, including taking care of Vics monthly expenses, as well as managing her appointments and travel arrangements. OKAY, so it might not be as glamorous as wed hoped, but still pretty cool! Considering the successful (and lucky) candidate will be dabbling in the Beckhams finances and working closely with the CEO of Vics business – Chloe chariman Ralph Toledano, its no wonder the star also asks for a “high level of discretion and confidentiality at all times”. Because were sure one of the most influential families in show business wont want their personal details aired on Twitter any time soon. 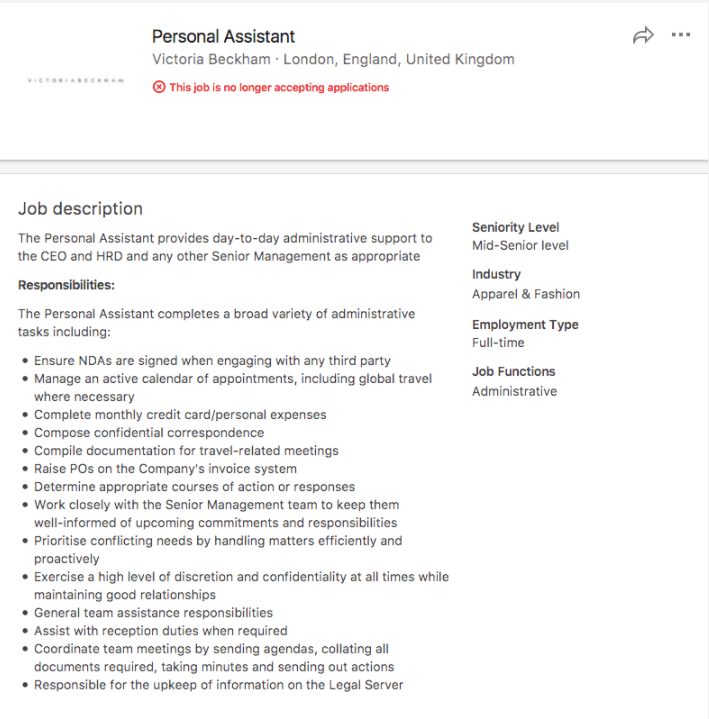 Other requirements for the position – which is based in Battersea, where Victorias label VB Ltd is based – are “excellent organisational skills” and “high level of written and verbal communication skills”. Despite the position not specifying an exact salary, we reckon the fashion mogul is going to be sifting through thousands of applications over the next few weeks. 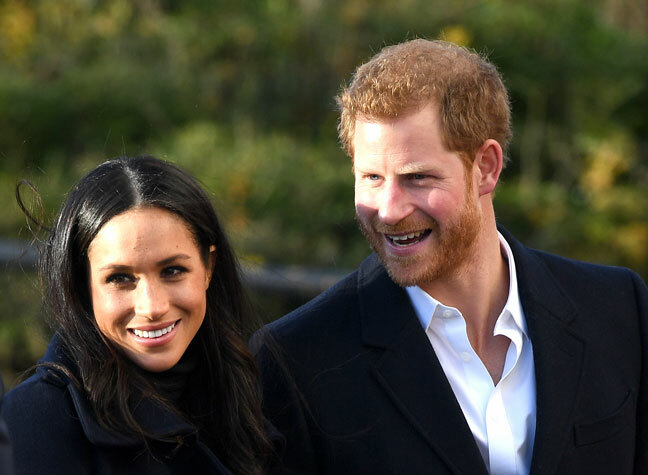 Meanwhile, Victoria and hubby David Beckham are thought to be attending one of the biggest days in the Royal calendar this weekend – Prince Harry and Meghan Markles wedding. While Vic has kept pretty coy about her invite, all the Spice Girls – Emma Bunton, Geri Horner, Mel B, and Mel C – are reportedly on the guest list. When asked about the Royal Wedding during an appearance on The Late Late Show with James Corden last month, Victoria stammered over her words as she replied: I, uh, I dont know. The mum-of-four then replied: “Yes. England is so excited. It is so great, isnt it? They look so happy,” which is definitely a confirmation that she and David got their invitation in the post. The post Victoria Beckham is looking for a new PA – but there are some very strict requirements! appeared first on Woman Magazine.